Raise a Green Dog! 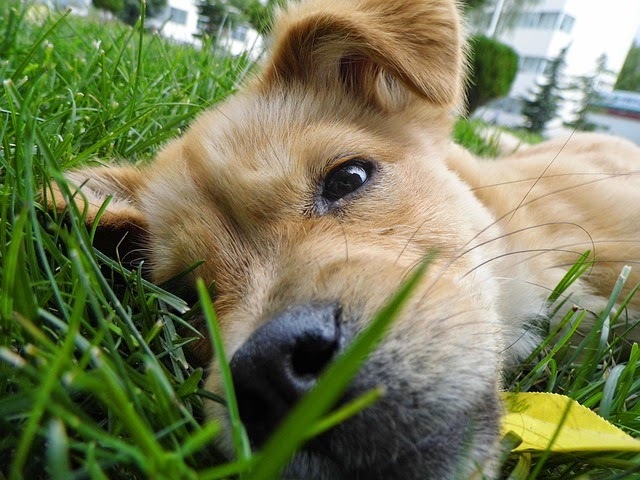 : A healthier, greener, organic lawn for a healthier dog! A healthier, greener, organic lawn for a healthier dog! There are few things better than watching a dog romp in their wonderful lush green lawn, playing, chasing, herding and enjoying the great outdoors. But what is the cost of that lush green chemically treated lawn? To some dogs it may mean risking their health. Over the years several organizations have provided invaluable research and information that shows chemical exposures to a variety of lawn chemicals (including pesticides, insecticides, fungicides and fertilizers) may be putting your dog at risk for canine malignant lymphoma, bladder cancer and more. In January of 2012 year a published study was released (Abstract of Environmental Health 112(1): 171-6 (Jan. 2012), that shows a link between chemical exposures (including lawn chemicals) and the risk of canine malignant lymphoma. A respected report and DVD "The Truth About Cats, Dogs and Lawn Chemicals," funded by the Newman’s Own Foundation, contains a lot of information for you to learn about the dangers and effects of lawn chemicals on your pets, including the use of herbicides, insecticides and other chemicals, and the resulting effects of seizures, tremors, vomiting, respiratory failure and more for dogs. 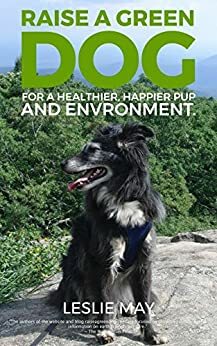 BeyondPesticides.org studies have found that dogs "exposed to herbicide-treated lawns and gardens can double their chance of developing canine lymphoma. And these dangerous chemicals may also increase the risk of bladder cancer in certain breeds by four to seven times." A new study, released in May of 2013 and published in the July 2013 issue of Science of the Total Environment, indicates that exposure to herbicide treated lawns has been associated with significantly higher bladder cancer risk in dogs. (Read more). Many of the lawn chemical companies, and providers of lawn chemicals, may say their products and services are perfectly safe for dogs, even going as far as including pets in their marketing. But the reality is that there is proof that these chemical laden lawns are having a dangerous affect on dog's health. So what is a green dog to do? Go organic and healthier, that's what! When we lived in Indiana, we grew an entire lawn from seed at our new home organically. It was a process and we didn't see that lush green lawn immediately. But the second year, we had a wonderful, green, healthy, very safe lawn for our dogs to play, enjoy and even eat a little now and then. Cleaning up all the poo after the spring thaw. Raking up any leaves and debris. Wait for a good rain, and then pull any unnecessary weeds, as this is the easiest time to get those weeds from the root so they won't come back again and again. Wait approximately one month and then overseed your lawn with a good quality uncoated grass seed that's appropriate for your area. Uncoated seed is important as coated seed is many times treated with a non-organic fertilizer or other growth hormones that may be harmful for birds, rodents and other small bodied living things, including your dog. Wait a few days and then spread a good organic fertilizer, like spray Fish Emulsion, or Worm Poo (these fertilizers won't hamper the growth of new grass seed). We like sprays because they are not as attractive to dogs once they have been on the lawn for a few hours. You can also look into a good organic fertilizer that's pellet based, like Lawn Restore, or Espoma Brand organic foods. Even though these are perfectly safe for dogs, some dogs, like my sis Gracie, just can't help herself from sniffing the pellets prolifically which gives her a runny nose, so we use a spray organic fertilizer. Continue to pull unwanted weeds after each good rain. If your lawn is in very poor shape, continue to reseed until the hot parts of summer and fertilize with a safe organic fertilizer every 6-8 weeks. You can even fertilize with a healthy fertilizer during the summer months without worrying about it burning your lawn like those chemical-based products do. That's it! We hope these tips help you have a wonderful, safe, healthy lawn this year and many years to come. The only thing we use on Jasmine's ranch is cutting it. As it turns out, keeping it cut allows the grass to take over.